The letter is dated the 28th of October, but I only found it yesterday. 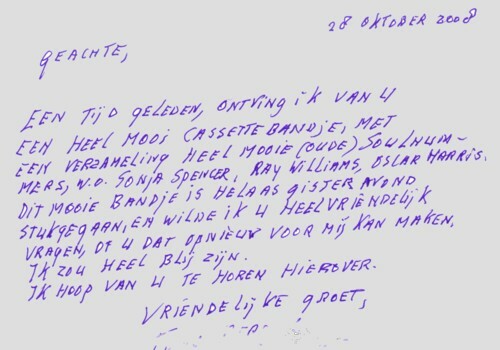 If you cannot read Dutch, it says that I recorded a cassette tape with exotic soul records for this guy many years ago. The tape fell apart last night and he asks if I can please send him a new tape. I made a lot of cassette tapes and it is always nice to hear that a tape is being appreciated. So I tried to see if I still have the original tape. I cannot remember that I recorded a one-of-one for this guy; I guess it was a copy. But I have made so many exotic soul tapes and I didn’t keep all of them. I think I will send him a CD. 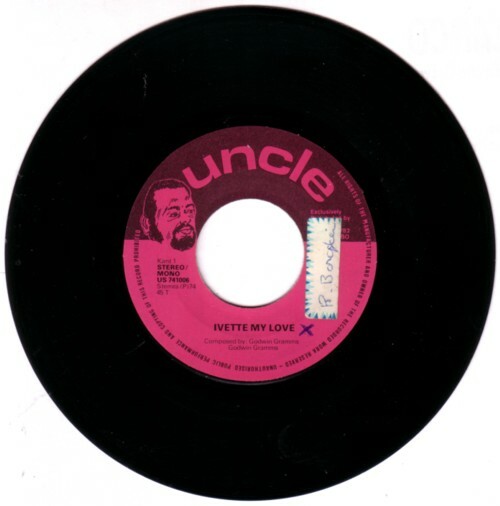 Here is an ecxotic soul record from Surinam, by Godwin Gramms. It is not on any of the tapes, because I found it recently.